Upset Stomach, Bloating, Bad Gas? Is Fructose to Blame? A common, but still relatively unknown cause of an upset stomach, bad gas and other digestive problems is high fructose corn syrup malabsorption. More and more people are becoming aware of the dangers of high fructose corn syrup to their health, but fewer would know that too much fructose can also lead to bloating, intestinal cramps, diarrhea and excessive flatulence. Ahead is just what high fructose corn syrup is, why so many people are experiencing fructose malabsorption and a list of both high HFCS foods, drinks, sweeteners and fruits and HFCS free or low fructose alternatives for better health. What Foods and Drinks Contain Fructose and High Fructose Corn Syrup? Many fruits and most sweeteners contain high levels of fructose. Unlike glucose, which is easily used throughout your body as energy, fructose is primarily metabolized in your liver. In small amounts this isn’t a problem. Unfortunately, with high fructose corn syrup now such a common ingredient in processed foods, many people are getting far too much of it for their liver to deal with effectively. Also known as HFCS, this highly fattening ingredient, strongly linked to an increased risk of serious disease, has been added to a staggering number of processed foods. So much so that it’s quite a challenge to find a product without it in the middle aisles of most supermarkets. Fructose is sometimes called fruit sugar and fruits are the traditional source of it. 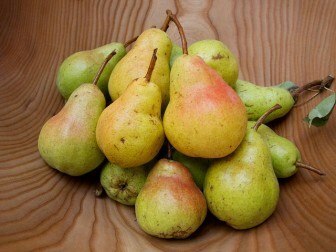 Your liver can usually comfortably deal with the amount of it in the occasional apple, pear or kiwi fruit. It’s a different story however, when you start consuming excessive amounts of HFCS sweetener found in many processed foods, and particularly sugary drinks and sodas. These high levels of high fructose corn syrup can easily cause an upset stomach, painful cramps and even diarrhea in sensitive people. Common table sugar is a big source of fructose, but in recent decades it has been eclipsed by the huge increase in high fructose corn syrup consumption. By far the biggest source of HFCS in most American diets though are sugary beverages like soda, ‘sport’ drinks and commercial fruit juices. 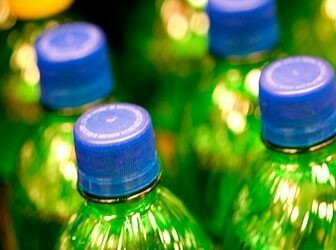 So called sport drinks and packaged fruit juices often contain more than 50 grams of fructose per 33 oz bottle. Even worse, a large 34 oz bottle of the most popular soda pop contains 108 grams of total sugars, or 27 teaspoons, of which up to 65% of these are fructose (and that’s just the start of the health problems with this highly acidic drink). What Causes HFCS Malabsorption and Why is It so Bad for You? All of us will experience an inability to metabolize fructose at high enough levels, though just where this level is appears to vary considerably from person to person. Some people can guzzle HFCS laden sodas and fruit juices without obvious, or at least immediate problems. While others will suffer bloating, an upset stomach, intestinal cramps and excessive gas when they drink much lesser amounts of these products. Studies show that approximately 37% of healthy adults can’t process more than 50 grams of fructose without experiencing gastrointestinal distress and symptoms like diarrhea. Furthermore, up to 70% of patients with irritable bowel syndrome have a clear intolerance to fructose. When you give your body too much HFCS and other forms of fructose for it to absorb, it has to go somewhere, and that somewhere is down to your lower intestine for bacterial break down. Fructose is a favorite food for bad bacteria in the colon and they proliferate and produce large amounts of gas in the presence of excess high fructose corn syrup in particular. Symptoms of HFCS malabsorption include bloating, abdominal pain and cramps, increased intestinal noises, IBS, excessive flatulence and diarrhea. Soda consumption can also lead to an overgrowth of bad bacteria. Despite all of this, fructose malabsorption is one of the simplest causes of bloating and bad gas to fix. You just need to have less of it. Quitting soda saturated with high fructose corn syrup would be a great start. Unlike indigestible oligosaccharides found in beans that make you fart and gas producing vegetables, fructose can be processed by your body. Just not in the ridiculous amounts too many of us are regularly consuming. Use this list of high fructose sweeteners, drinks, processed foods and fruits to see where the most likely sources of fructose are in your diet and which ones you can easily limit or avoid. Aside from otherwise healthy fruit, any of the others that you can remove or greatly reduce can not only help digestive problems, they’ll also likely improve both your waistline and your overall health. High fructose corn syrup has no place in a healthy diet. It is so bad for you it will not only increase your risk of diabetes, heart disease and liver failure, it’s also one of the most effective fatteners of the human body ever invented. Replacing soda with healthier alternatives and cutting back on sugary snacks is a great start, but other foods you may have thought of as healthy, like canned fruit or apple juice, are also important to ditch. This is not just for avoiding bloating and flatulence, but for your long term health and wellbeing as well. Next is a list of HFCS free and low fructose foods, drinks and sweeteners you can use as an alternative to the high fructose products above. There’s also a list of low fructose fruits which are the best choices to eat if you have fructose malabsorption that is leading to digestive problems like an upset stomach, abdominal cramps and excessive gas. Cutting back on the amount of fructose you consume isn’t just good for reducing gastrointestinal problems like bloating and flatulence either. High fructose corn syrup is a highly fattening substance, metabolized by your liver into triglycerides and strongly linked to an increased risk of many life threatening diseases. If you drink sugary sodas or commercial fruit juices these will usually be the biggest sources of fructose in your diet. Swapping them out for this much healthier replacement is one of the best things you can do for your health.